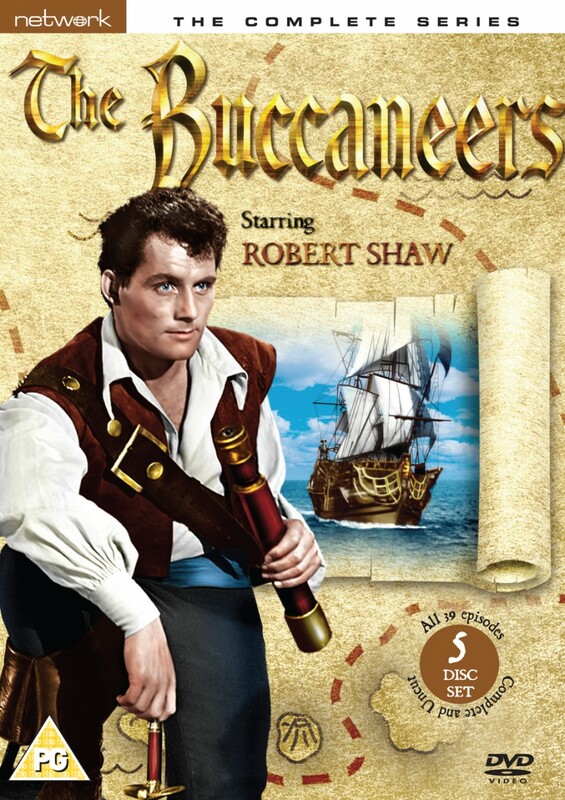 Famous movie-star Robert Shaw stars in the fondly-remembered 1950s swashbuckler series – The Buccaneers. Set in the early 1600s on the exotic Caribbean island of New Providence, Captain Dan Tempest (Shaw) is a reformed pirate who rallies to the flag to serve his King, defending the island against the enemy in the war with Spain. Presented here is the entire series of 39 action-packed episodes of this top-rated show. This thrilling adventure series will appeal to people who enjoyed Network’s previous releases of The Adventures of Robin Hood and archive television fans.